Today’s article details the many incredible properties of the banana. This grocery store staple is so readily available that it can be easy to take it for granted. Yet the humble banana is truly a wonder, packed full of nutrients that your body needs to stay healthy and build strong bones. 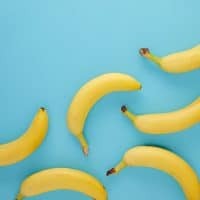 Read on to learn more about the history of the banana, its general health benefits, and a study that links a mineral found in bananas to optimal bone health. You’ll also find a pH-balanced gluten-free recipe for banana loaf that’s sure to become your new favorite! Until the advent of refrigeration and rapid transportation, you couldn’t get a banana unless you lived very near the tropical climates where they grow best. They are thought to have originated in Malaysia about 4,000 years ago. Over the millennia they were spread by traders and travelers around the globe. You’re probably accustomed to seeing bunches of 4 to 8 bananas at the grocery store, but those small groups were cut from bunches of up to 25, which in turn are cut from clusters of as many as 150. The sweet banana, sibling to the starchier plantain, has many varieties in different sizes and colors, but the most widely available bananas are the familiar yellow fruits with a soft sweet inner flesh. Bananas are a favorite treat for children and adults alike, and they’re packed with vitamins and minerals. The fiber content of bananas makes them highly beneficial to the digestive system. Even though bananas are quite sweet, containing around 14 grams of sugar, they have a low glycemic load. That means they don’t cause dangerous spikes in blood sugar levels, even though they’re high in carbohydrates. As bananas ripen, their concentration of water-soluble pectins increases along with their ratio of fructose to other sugars. This normalizes the rate of carbohydrate digestion, preventing rapid changes in blood sugar levels. Bananas are rich in potassium and vitamin B6, have a low glycemic load, are fibrous, regulate cholesterol, and promote healthy microbiota, making them a powerful tool for maintaining general health. Vitamin B6 supports the production of glutathione, the Master Antioxidant,, which is essential to protecting bone cells from oxidative damage. 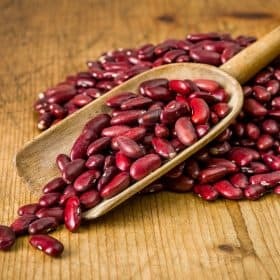 Manganese is critical for the production of collagen, which makes up much of the bone matrix, as well as calcium absorption and the production of the antioxidant manganese Superoxide Dismutase (MnSOD). Copper helps construct connective tissue throughout the body, including in bones, and it works with manganese in the production of Superoxide Dismutase. Vitamin C is a powerful antioxidant that protects your body and your bones from oxidative damage, is necessary for collagen synthesis, and is well known as an immune booster. But it’s the banana’s most well-known mineral that proves the most powerful bone protector: potassium. Potassium is an alkalizing mineral, which explains why bananas are an alkalizing food. When the body’s pH balance becomes too acidic, acidosis occurs, and the body responds by rapidly leaching alkalizing minerals from bone to rectify the imbalance. Potassium helps to prevent this by providing the means to balance the pH without eating away at the bone-matrix. Bananas contain several Foundation Supplements that are essential for healthy bones. The potassium in bananas is their most significant benefit, creating a pH-balancing line of defense to protect your bones. 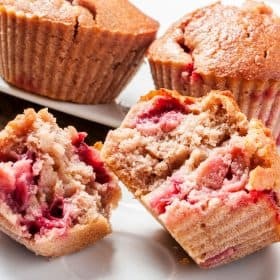 This recipe pairs potassium-rich bananas with alkalizing alternatives to processed wheat flour for a gluten-free pH-balanced treat that’s sure to please. Preheat oven to 350°F. In a bowl, mash bananas with a fork and set aside. In a separate bowl, mix coconut flour, almond meal, chocolate chips, and baking soda. Add the eggs, coconut oil, and honey, and yogurt to the mashed bananas and mix well. In a large bowl combine the dry ingredients with the wet ingredients and stir in the walnuts or pecans. Oil a bread pan with olive oil and pour the batter. Bake for 40-50 minutes, until fork or toothpick inserted comes out clean. It’s amazing what a little ingenuity in the kitchen can do for your bones. Keep seeking out the healthiest ways to make the foods you love. Your bones- and your taste buds- will thank you for it! wondering what will happen when I stop. I have been taking TrueOsteo as recommended by you for bone health and my one concern is the balance of calcium to magnesium which seems extremely high. I would appreciate your comments on this. coconut oil and apple sauce for the honey or maybe more bananas or yogurt. I’ve always wanted to ask an authoritive figure their thoughts on an ancient cultural food in the Philippines called the “Saba” Bananna, which is a Bananna that the fillipinos steam first, and then eat. This type of Bananna (which is steamed) is also eaten in other Asian countries such as Thailand and Bali. My own Mother grew up eating these types of Bannanas and I have always had a hunch that there is something special in either they type of Bannana or the steaming/cooking process which does something to the fibre that may help immunity and the Gut. In Bali, my sister fell incredibly ill due to a severe parasitic gut infection. The hospital made her eat these steamed Bannanas everyday as part of her healing. What do you think about this? I feel it’s one of those “Ancient Cultural Wisdom” foods that you just can’t really explain, but know its “good” for you. Either way, I think these types of Bannanas are very different to the simple sugary ones readily available here on the west! They certainly taste different, that’s for sure! I know of several people that cannot eat bananas and for various reasons. I for one eat one now and again but never feel well following consumption. Leave them laying around in the fruit dish causes other fruit to go bad etc etc. Best to leave outside for those that really like them the eat outside. I love bananas, especially for their potassium content and eat one a day. A large one of 100g contains about 20g of sugar. Dr Mercola says that fruit sugar is just as harmful as cane sugar, do you disagree? 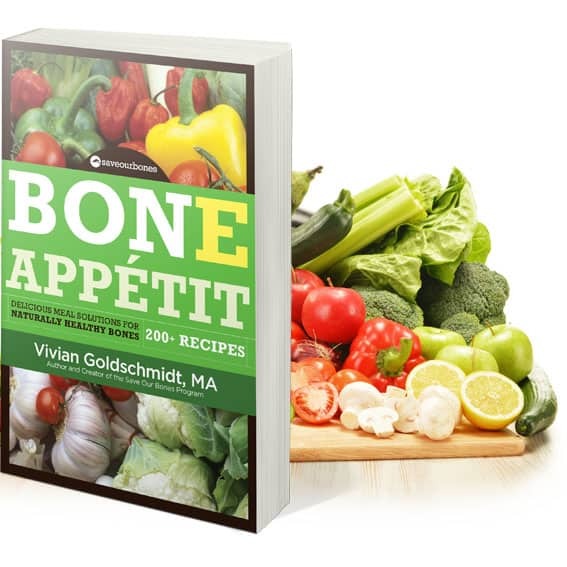 Dear Vivian can you please tell me why some people can eat a very acidic diet & not get osteoporosis . My 4year old grandaughter helped me to bake the banana loaf we both loved it even though i forgot to by the chocolate chips. You could use coconut sugar, but you may need a little more than 4 tablespoons. I am wondering why you did not recommend organic bananas. I have read that non-organic bananas have a lot of harmful sprays, etc. Our local stores all have organic bananas now as demand has increased. It’s always better to get organic, Patricia! Your recipe includes yogurt and did not specify what type. Could zero fat Greek yogurt be used or does it need the regular non Greek yogurt ? Regular, plain, unsweetened yogurt works best for this recipe. Recipe states 2 bananas. Since sizes vary, would you have an estimate by cup size in amount of mashed bananas. Previous recipes I have baked for banana bread state a measurement which is most helpful. Thank you for reply to my previous yogurt question. What size loaf pan should we use for the recipe? 9×5 or an 8×4? It’s better to use the larger size pan (9×5). Sounds like a great recipe. Thank you. One has to be careful not to eating too many carbohydrates. Banans are packed. Is Yoga just as beneficial as your exercise program? As s Functional Nutrition practitioner I’ve found much controversial data about the alkalinizing effects of foods and drinks on the bodies acid base balance. Why is this such a hard concept that cannot be be definitively recognized ..? You’re right, Judith – there are conflicting charts and other information out there on this topic. But at the Save Institute, we’ve found consistency and definitive results from Dr. Theodore Baroody’s research, and this is the data on which we base our acid/alkaline food list. Bananas, wow. My Mum had a friend who was living in Fiji in the late1920’s early 30’s. While there she gave birth to twin boys, which left her very weak and not able to feed the babes so the local Fijian women scraped the inside skins off the bananas and not sure if they mixed it with water or cows milk, but that was used to feed the two babies and they grew up 2 very healthy boys. So, a banana a day keeps the doctor away. I have been making your original banana recipe from your book & love it – so now I will try this one! That’s wonderful, Joy! That original recipe has always been popular with Savers. I hope you’ll enjoy adding another recipe to your banana repertoire!